As time goes by, the amount of work people need to get done each day seem to be piling up more and more. There are numerous errands to run, deadlines to meet, appointments to go to and schedules to keep. It is no wonder that the number of hours seem to be not enough to finish everything. Even when technology is constantly coming up with inventions, processes and gadgets to make things easier and faster, still time seems to be too short. The problem perhaps is not that time is not enough but rather how people handle things. Evermore these days, time management is very important. It is the only key to be able to do everything with the short amount of time given and still be productive and efficient in the end. Plan and work on a schedule. Even if it seems that there are too many things to do, always find the time to plan ahead. Think thinks over. It may seem that this will also eat up time but in the end, the time that will be saved by knowing exactly what to do and when to do things is going to make everything work out faster. Do the important and urgent things first. Avoid spending too much time on the non-essentials. Prioritizing is actually the core part of planning. It is where you get to see which task is important and which is not. With this, you will be able to compare the tasks according to urgency and importance. Study the tasks at hand and see if there are time wasters. Time wasters are those routine or tasks that are not necessary and unimportant. The amount of time spent doing a particular task can also be evaluated if it is taking much more time than needed. Multitasking is a very important technique of saving time. It involves doing more than one task at a time. As long as two or more tasks can blend well together and can be done at the same time without sacrificing the quality of work then it can be done simultaneously. One example is taking phone calls while checking or answering emails. It is the main idea behind working lunches. It is when one combines work while having lunch. Avoid mistakes as much as possible. Always double check yourselves if you are doing things right because making mistakes entails having to do everything all over again. This also increases efficiency. Being hasty and in a hurry with only finishing on time in your mind is prone to mistakes. Remember to do things right the first time. It is not just important to finish the tasks but also do everything efficiently as well. Do not be reluctant to ask for help if help is needed. If someone is free and willing to do a task and he or she can do it effectively then take that chance to delegate work. This is important to save some time and you in turn can continue to work on other significant things to do. Don’t be reluctant to take a break. Taking 10 to 15 minute breaks won’t take up too much time. It is important to freshen up the mind and body to be able to work more efficiently. Too much stress can actually slow down any person and may even produce below par results. Relaxed and rested mind thinks faster and more clearly. Though the tasks needed to be done seem to pile up more and more, the amount of time each day is limited to 24 hours. That will never ever change. Since it is impossible to add an hour or two to your day, then perhaps this time management techniques can help organize everything and make the most out of the time provided. So, how do you make the most out of your time? Any tips to share? I would love to hear them. Very sensible tips. I’d recommend the book: ‘Use your head’ by Tony Buzan. It outlines exactly how to use your time and mind efficiently. I will definitely check it out. I am a huge fan of the getting things done (GTD) methods. delegating is something I’ve never been the best about. Somehow in my head I think that things won’t be done right if I don’t do them myself. As I’ve gotten older I’ve realized I have to give up some of that control. It’s hard, but I’m getting better. I like the saying.. you can go fast by yourself but you can go far as a group. I tend to delegate things I hate and only work on things I love. The trick is to find someone who loves the stuff you hate. Then delegating becomes easy. I try to make a “to do” list. It helps keep me on track and organized. Once one task is done, I know what I need to do next. To-do list work very well for some people. Unfortunately, for me they only worked well in temporary situations. Good job! As long as you have balance you will be fine. Nothing wrong with wasting a little bit of time throughout the day. I agree with most of these though some are hard to implement (I have noticed that I waste quite a bit of time checking e-mails and stuff instead of writing; but I count it as ediction and will have to deal with it accordingly). I have a bit of a problem with multi-tasking and acoiding mistakes. I think that one achieves much more, faster and to a higher standard when one focuses on one thing exclusively. Don’t know about you but when I talk on the phone and answer e-mails my conversation gets weird and my spelling even more horrid than usual. Avoiding making mistakes keeps you within the confounds of the familiar; so you can do a devent job but never an outstanding achievement. I also have an email checking problem. The way I work on it is by having my phone manually update rather than update every 15 mins or so. I’ve noticed when my phone doesn’t alert me, I stay focused. The only time I check emails consistently is if I know something is coming up. I have my email on manual update for this reason. When my phone buzzes I have an urge to check it.. turning it off increases focus big time. Most people lose hours throughout the day because they don’t immediately start the next task. The only thing I can say is try forcing yourself to just start. Avoiding time wasters is a huge one. People spend inordinate amounts of time on things that don’t help them toward their goals, then don’t have time for the important things. Planning helps, as does self-discipline. I agree! If you focus on the small things the big things take care of themselves. Don’t waste time just do it. This is a good post, and its a subject that is constantly on my mind. I have tried those sites that “turn off” social media and email, and they work okay, but I find the best thing I’ve done so far is to time myself on how long things take. I use a time tracking software and input each project so I can see how long it’s taking me to finish up a blog post or how long I spend on a virtual meeting, etc. It really does help. 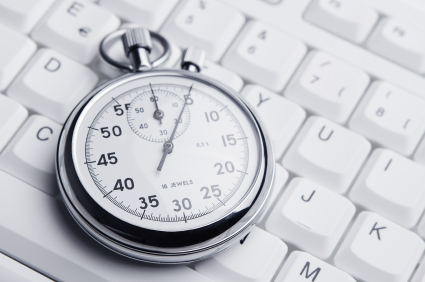 Have you improved your time in writing blogs? What are some of the areas in which you waste the most time? I find that I am most productive when I first create a to do list and a schedule. It makes my days much more productive. The only thing that would be kind of dangerous for me would be multitasking. I try to avoid it because it costs me so much productivity. However, I definitely agree with the rest. Good Stuff! A lot of people feel the same about multi-tasking. Nothing is truely one-sized fits all. I can only multi-task when things don’t require a lot of brain power. For example, cleaning and listening to an audio book.